InStar UK Ltd Stackable Paving Supports provide a quick and cost effective means of installing prefabricated paving slabs to paved and terraced areas. As well as providing accurate spacing between paving slabs, InStar paving supports also lift the pavers off the underlying surface allowing for efficient drainage. In the case of inverted roofs ( insulation above waterproofing layer) the resulting reduction of water absorption by the insulation helps improve insulating efficiency. 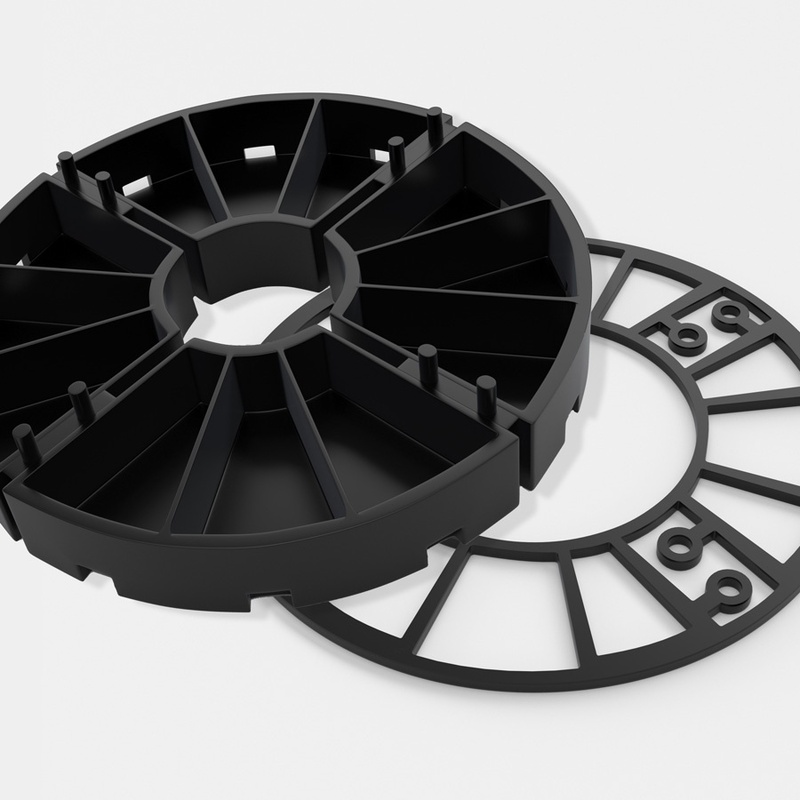 The modular design allows for stacking of the supports so as to achieve the height or depth of gap beneath the paving as required, three available sizes providing a lift weight of 15mm, 20mm, and 30mm together with 3mm levelling shims further allow for accurate depth setting and levelling. Supports can easily be halved or quartered for use at edges and corners eliminating wastage and making application cost effective and aesthetically pleasing. Designed by roofing specialists and roofing contractors, InStar paving supports have proved to increase speed and accuracy of laying whilst providing important technical benefits. Drainage: Allows for efficient drainage between and under paving. Contracting benefits: Improves speed and accuracy of laying. Easy access: Provides easy access to waterproofing and drains for periodic maintenance. Damaged slabs can easily be replaced. Aesthetics: Provides accurate spacing between slabs and improved drainage deters unwanted vegetation growth. Safety: Improved drainage helps reduce standing water and algae growth on walking surface. InStar paving supports are made from High Density Polyethylene which is compatible with most known roofing materials. The Internationally proven design provides load bearing capacity for all commonly used prefabricated slabs and anticipated pedestrian traffic loads. Alignment pins provide accurate 5mm gap setting between slabs. The modular design allows for stacking(max 5 high) to achieve required gap beneath paving. The supports can be halved and quartered for use at edges and corners. 3mm shims enable fine adjustment where required. Installation of the paving is made simple by placement of the paving supports at each corner of each slab. The alignment pins will ensure accurate spacing between slabs. It is essential to ensure that the first row of slabs are laid carefully in line as these will act as a guide for each subsequent row. The paving supports will be held firmly in place by the weight of the preceding slab enabling quick and accurate placement of the next row. InStar paving supports can be easily halved or quartered for use at edges or corners thereby eliminating wastage and making application very cost effective. Typically, for estimating purposes allow one paving support per slab. The number of slabs required per square metre depends upon the paving slab size and can be estimated by using the table below. PLEASE NOTE: Check with your paving slab provider as to maximum permissible dimensions when supported only at corners by paving supports. Central/ interim supports may be required where larger slabs are desired.